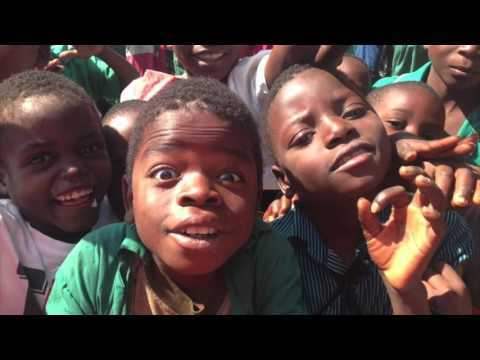 Lockerbie Academy has a partnership with Thawale Primary School in the Mulanje District of Malawi. Our link, initially set up and supported by LCD, is now a strong independent one and has continued to make good progress since February 2009. Our main aims are to develop and sustain a partnership between the schools which is equity based, educational and mutually beneficial. We hope to engage pupils, staff, parents and the wider community in the partnership and to encourage pupils in both schools to be responsible citizens in their local community and to understand that they are citizens of a world community. Several successful visits have been made to our partner school with two return visits by teachers from Thawale. We raised enough money for a Mary's Meals feeding station to be built and we have recently set up a scholarship programme to support a number of pupils at Thawale through secondary education. On our last visit in June 2018 we worked with Tina Pads to provide reusable sanitary pads to a large group of girls, as well as taking donations of back packs for our now 70 strong secondary school scholarship programme and many other items generously given by the extended community of Lockerbie.